I’m so sorry that I have been neglecting everyone! Work has been busy, and traveling, and Thanksgiving – again, no excuse. 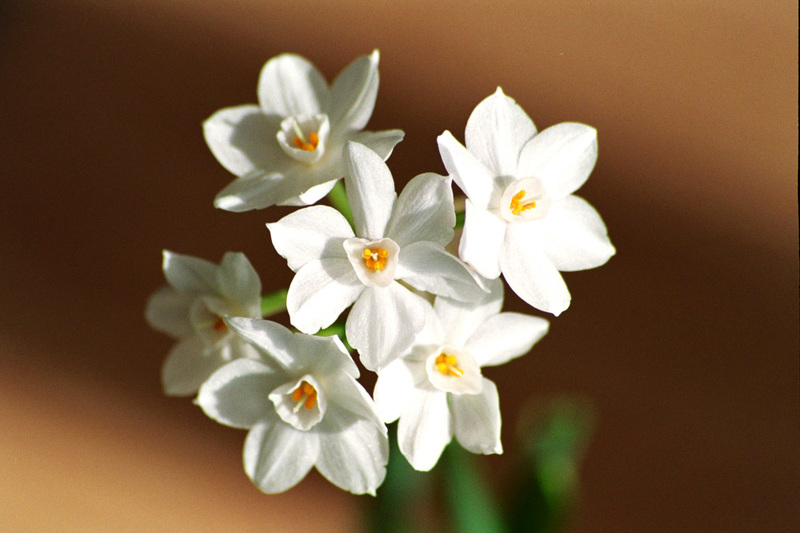 Although I usually resist decorating for Christmas early, there is one thing that I don’t resist that says Christmas to me – paperwhites. 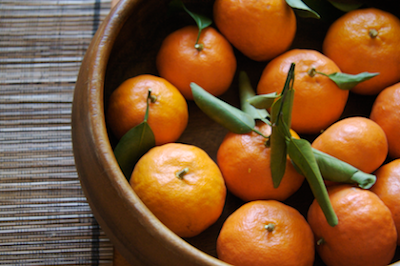 Growing up, Christmas in Connecticut was always about smells: the smell of the tree, the garlands that my mother draped over the mantelpiece, bowls of clementines, and my favorite, paperwhites. Every year around Thanksgiving, my mother places these delightful bulbs all over the house, filling it with the most enchanting aroma. For me, paperwhites smell like “home for the holidays,” and purchasing my own paperwhite for my first New York apartment was almost ceremonial. The simple green and white will complement the color palate of any room–but for some additional color you can tie a ribbon around the stems of the flowers. Last year, I bought a thick chocolate brown satin ribbon from Kate’s Paperie and tied it around the stems of my paperwhite–it was like putting a great necklace on over a little black dress. 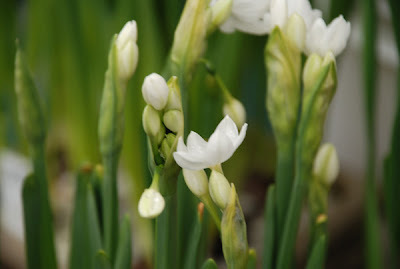 One of my favorite things about paperwhites, is how inexpensive and easy to maintain they are! The most beneficial thing to do for your paperwhite is to put it outside for the evening. Don’t worry about them getting cold, they like it, and the hit of cold every now and then prevents the stems from wilting. In New York, I put my paperwhite on our balconette every night, and this ensures that its stems stay straight for the duration of the holiday season! If you don’t have a mini balcony like WWB and I, use your fire escape! I bought my paperwhite last week for $8 at a market on Lex , and it is still going strong. Check out your local market or Trader Joe’s, and if you don’t have one in your area, typically Whole Foods or other grocery stores stock them this time of year. Merry Christmas! 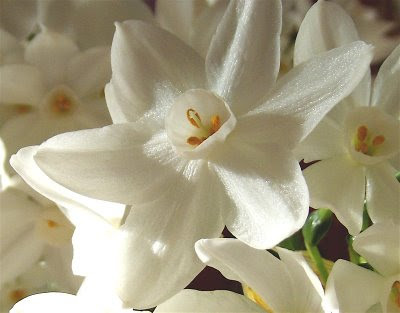 Here’s a tip: if the stems of your paperwhite begin to wilt, use the ribbon suggestion to tie them up. This way, you are supporting your paperwhite whilst adding some color. What a lovely post today. I, too, like your mother have been doing this or over 20 years. I love paper whites and clementines…It is these simple yet elegant details we start feeling something indeed special is happening!! I have just came across your blog the other day. One of my Christmas gifts…Is finding this blog. Maureen – your sweet post has just brightened my day! I’m sorry for lagging in my postings, I hope that you continue to read lacquered life!